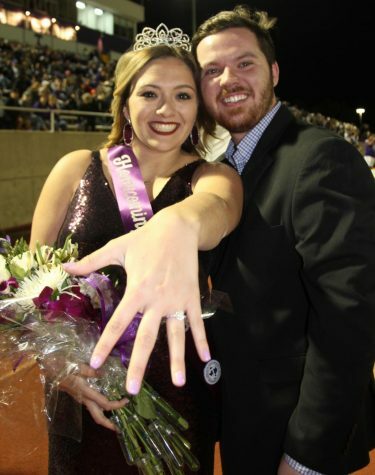 Whether it’s your first Homecoming or your last here at Tarleton State University, it is easily one of the most anticipated weeks of the fall semester. Homecoming this year will be from Oct. 14-20, with it just days away here are some tips and tricks to survive the week. It’s easy to get caught up in the excitement of Homecoming especially your first one. Don’t forget that most midterms fall on the week of Homecoming. Regardless if you have midterms the week of or not, don’t forget that your grades can easily plunder if you don’t keep up with your school work. Classes might still be going on and your grades are important but don’t get too caught up in your classwork that you miss out on all the fun events that Homecoming has to offer. From the wise words of Momma T remember to drink plenty of water and stay hydrated no matter what event you attend during Homecoming Week. Lighting of the Smokestack is the perfect way to kickoff Homecoming week on Sunday, Oct. 14. The event starts at 6 p.m. with a concert, free food and games. President of Tarleton State University Dominic Dottavio leads this event and it is definitely worth attending but get there at least 30 minutes early to get in line for the free food. 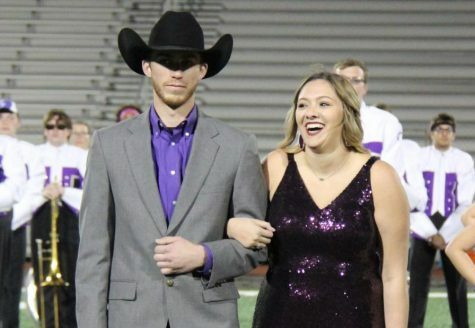 The Silver Bugle Hunt will test you and your friend’s knowledge surrounding Tarleton and is the perfect event to put it to the test. This year it will be held on Monday Oct. 15. Teams can be up to four people so grab three of your friends, sorority sisters, or fraternity brothers and get studying. 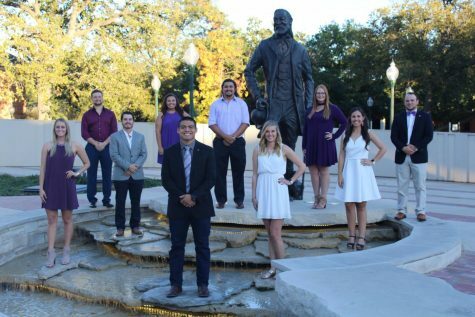 Once you’re registered on Tarleton’s website be at the Trogdon House by 6 p.m. Launching of the ducks is a great way to kickoff homecoming by writing your goals on the duck and releasing them in the fountains out in front of the Nursing Building on Tuesday Oct. 16 at 5 p.m. Right after Launching of the Ducks hang out at the Purple Out Picnic. This has been a Tradition since 2003 has been providing free food, music and the competition of who can show the most spirit by wearing the most purple. The Homecoming Court Nominees are introduced and participate in a Q&A. the drum directly after the Plowboys. Yell will be held on Wednesday, Oct. 17 at 9 p.m. It’s important to get to Wisdom Gym early as the gym has a maximum capacity. Getting there at least an hour to two hours early gives you great chances of getting a seat. 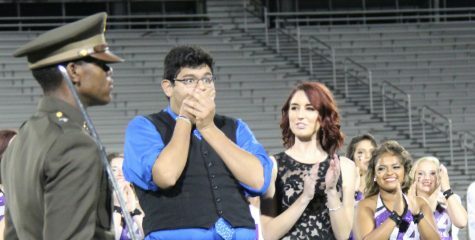 Directly after Yell Contest is the Snake Dance. Snake Dance is where students lock arms and snake their way to the student center the official kick off Beating of the Drum. It’s smart to wear tennis shoes because the snake dance can easily turn into a snaking sprint. Beating of the Drum is a great way for every organization and student to get involved in a tradition. This event is kicked off Wednesday night with the Plowboys and goes until kickoff at the Texan Football game the following Saturday evening. Every organization can sign up for a time slot to beat the drum. Make sure to dress appropriately for your shift because it can get cold if you’re beating the drum at 3 a.m. Formerly known as “Midnight Madness” Wisdom Madness will be held on Thursday, Oct. 18 at 7 p.m. in Wisdom Gym. This is a perfect event to check out Tarleton’s Basketball Teams and get them pumped up for their upcoming season. This event has high attendance so it’s important to get their early to get a good seat. Directly following Wisdom Madness at 10:30 p.m. in the Dining Hall will be Purple Pancakes formerly known as the event “Midnight Breakfast”. This event is sponsored by the Student Government Association’s Executive Cabinet and Freshmen Representative Council. They spend countless hours planning, prepping, cooking and serving the delicious purple pancakes. Tailgate is the perfect opportunity to hang out and cookout with your friends and family outside of Memorial Stadium. The tailgate starts at 2 p.m. on Saturday, Oct. 20 and continues until kickoff around 6 p.m. for the Texan Football game against Texas A&M – Kingsville. 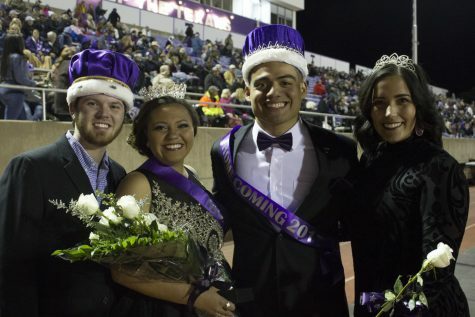 During Halftime of the Football game the Homecoming King and Queen will be announced. Make sure to go out and show your Tarleton pride and support your favorite Football team. Awesome tips! Thanks for all the great knowledge!! Fun article with great tips 🙂 I love homecoming week, even as an alumni! Did the Purple Out Picnic really start in 2003, or was it maybe actually 2013? Thank you so much for you kind words KP! I really appreciate it. According to Tarleton’s website Purple Out Picnic began in 2003! I have put a link below to where I obtained my history facts. Again, Thank you so much for your kind words and I hope you have a wonderful day!